Suspended by string from the ceiling of my tween-years bedroom, the wooden skeletons of prehistoric reptiles jostled for space among enamel-coated Harrier jets and Hellcats, sculpted in miniature from cast plastic and balsa. And I wonder why I never had a girlfriend back then? The point is I loved models. I clearly remember being thrilled by the way that, from my own efforts, the essence of an entire railway system and its environs could be so elegantly realised in 00 gauge. The more I knew about real train systems, and the better honed my skills of recreation became, the more life-like and satisfying were the results. In this latest episode of the podcast we’ll take a look at some models that are, at once, exactly the same as, and utterly different to, those of my childhood fancy. Modeling has always been a vital part of science’s toolbox — physical models such as flumes or wave pools can simulate the behaviour of larger water masses, for example — but increasingly, scientific modelers are harnessing the power of super computers for virtual simulations of natural systems. Simulations are obviously the only option for predictive studies of future change, but the validity of the model in use has to be shown by its ability to recreate known situations of the present or past. Regardless of how impressive the processing power of computers becomes, scientific modeling will always rely on a foundation of rigorous empirical data collection. The Climate Models research stream of ANZICE is figuring out at what rate polar ice shelves and the temperate glaciers of New Zealand’s Southern Alps are likely to respond to predicted short- and long-term changes in climate. Their modeling has already successfully recreated the recent and highly publicised collapses of Antarctic ice shelves, and predicts the loss of all Arctic ice shelves by 2100. 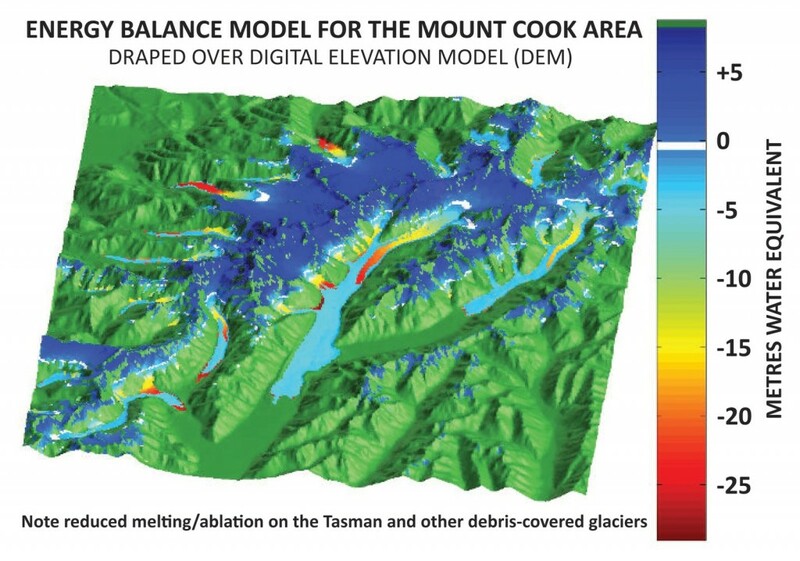 An energy balance model (EBM) for the Southern Alps has helped improve the understanding of the relationship between our glaciers and the local climate system. 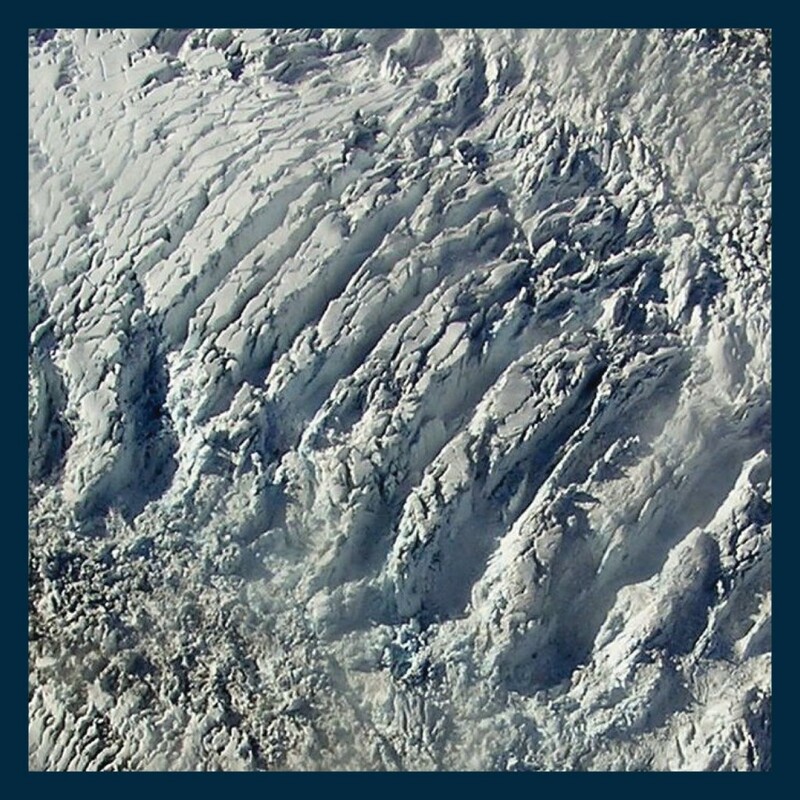 New Zealand’s glaciers are proving to be highly sensitive indicators of changing atmospheric circulation, particularly the large debris-free glaciers of the West Coast such as Franz Josef. While the Southern Alps have lost 30-48% of their ice mass since the mid-19th century, many glaciers have shown an anomalous readvance since the early 1980s. This appears to be related to an increase in, and shift of, Tasman Sea anticyclones that have increased southerly airflow and led to a slight cooling of the high mountain catchments. The long-term goal is to couple the EBM to a model that simulates the dynamics of ice sheets, thus allowing the detailed simulation of past ice extents — tying in closely with the moraine mapping and dating efforts of GNS Science’s Central South Island Glacial Geomorphology project. This powerful computer model will be able to provide quantitative paleoclimate (past temperature and precipitation) estimates for the region based on geological evidence. Bear in mind that the scientists behind these models are not stuck in some windowless room staring at a screen through square eyes 24/7. Their models are completely reliant on real-world data: weeks of intensive fieldwork are required each year, monitoring weather stations and collecting continuous measurements of mass balance change and stream discharge. Hailing from Melbourne, Andrew Mackintosh has a career in glaciology that has so far taken him from the Greenland ice sheet to Tasmania, from the volcanic ice fields of Iceland to East Antarctica. Now based at the Antarctic Research Centre, Andrew works closely with Brian Anderson and leads the Climate Models team of ANZICE, including 6 post-graduate students. By progressing to the second round of this year’s Marsden funding applications, the research group’s coupled energy balance-ice sheet opus is still in the running towards becoming New Zealand’s next top model.